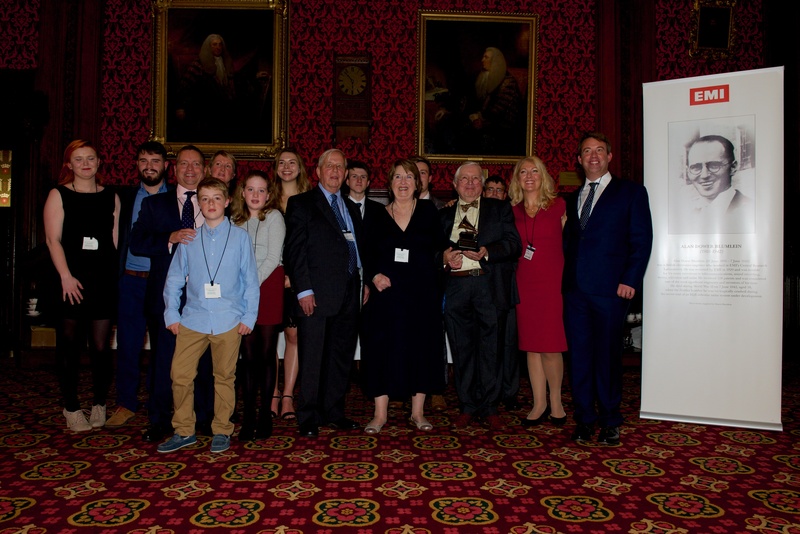 The heirs of prolific 20th century British inventor, Alan Dower Blumlein, gathered in the Stranger’s Dining Room at the House of Commons on Monday October 23, 2017 to celebrate his posthumous Grammy for the invention of stereo recording. The innovative brain behind airborne radar, stereo recording and the television camera, Blumlein lost his life in 1942 at the age of 38 while testing his invention, airborne radar. Born in Hampstead in 1903 and with 128 patents to his name at the time of his passing, Blumlein is an unsung war hero, whose death was never officially acknowledged to prevent a propaganda win for Hitler. 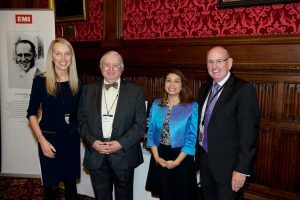 The event was hosted by Labour Peer Charles, Lord Allen of Kensington, an ex-Chairman of EMI and current Chairman of media company, Global Radio and Universal Music’s Caryn Tomlinson, Chair of the EMI Archive Trust. Tulip Siddiq, MP for Hampstead & Kilburn, joined the gathering to pay her respects to her borough’s unknown genius of British science and technology. MPs, Lords and Baronesses joined the family and representatives from The British Library, the Science Museum, Kings College London, the Heritage Lottery Fund and many other institutes in honouring his short life and significant achievements.